This adorable CHARM IT! 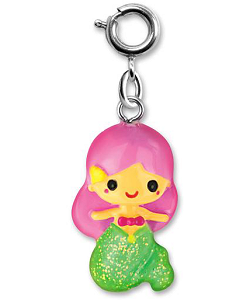 Mermaid charm is sure to delight as a fun and whimsical charm bracelet addition. With a yellow shell adorning her long pink hair, this 3-dimensional mermaid is all smiles in her magenta top and glittery green tail. With the simple snap of a clasp, this CHARM IT! 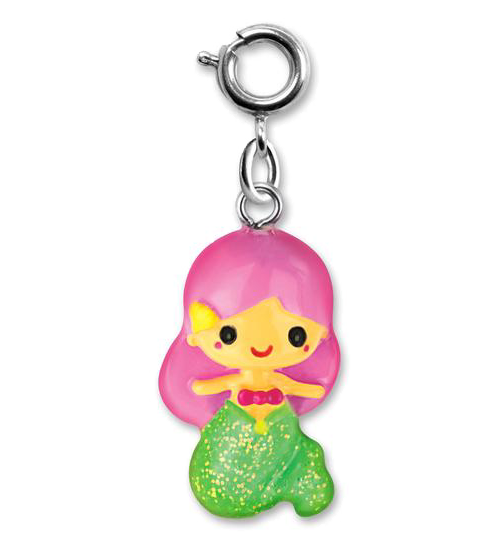 Mermaid charm is the perfect way to add a splash of personality to your charm bracelet. This beautiful Ariel Swivel Heart charm features a glittery silver heart showing through the die-cut green heart. Fairies and glitter and rainbows and magic.. so many things to bring smiles to girls of all ages. This fun Mermaid Dress 'N Play includes a sweet mermaid doll and four beautiful outfits, all with beautiful embroidered detail.